Eagle Days to be today, Jan. 20 – Welcome to Wyandotte Daily! Eagle Days will be from 9 a.m. to 4 p.m. today, Jan. 20, at Wyandotte County Lake Park. The Saturday portion of Eagle Days was canceled because of inclement weather in Wyandotte County, with an expanded program for Sunday. Eagle Days will be held on Sunday, Jan. 20, at Wyandotte County Lake Park, 91st and Leavenworth Road. The Sunday portions of the program are being expanded. The new hours of Eagle Days will be 9 a.m. to 4 p.m. on Sunday, according to a spokesman. The locations of the program are at the Mr. and Mrs. F.L. Schlagle Library and the James P. Davis Hall, both located at Wyandotte County Lake Park, 91st and Leavenworth Road, Kansas City, Kansas. The Saturday portion of Eagle Days was canceled for the safety of those traveling to the event, according to a spokesman. The free program features live bird presentations, craft areas for children and binocular checkout for viewing along the lake. The live bird presentations and craft areas are held indoors at the library and Davis hall. Operation Wildlife volunteers will present the educational programs at the library and Davis hall. Each site will have a different collection of birds. The program is for all ages. Eagle Days at Wyandotte County Lake is presented by Operation Wildlife; the Mr. and Mrs. F.L. Schlagle Library; Kansas City Board of Public Utilities (BPU); the Kansas City, Kansas Public Library; Kansas City, Kansas Public Schools; and the Unified Government of Wyandotte County and Kansas City, Kansas Parks and Recreation Department. 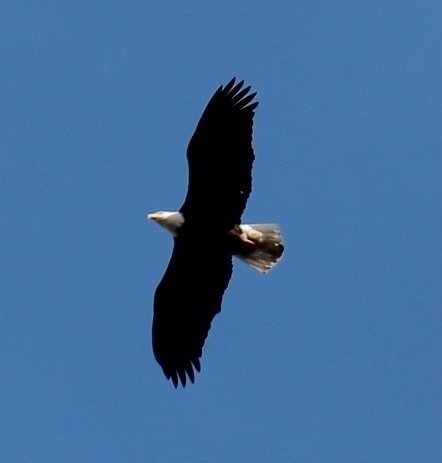 For questions about Eagle Days at Wyandotte County Lake Park, contact the Mr. and Mrs. F.L. Schlagle Library at 913-295-8250.